Cloud computing is not just a hype and it will definitely not disappear any time soon. On the contrary, it is expected that cloud-based software will be further developed in the future and it will open new possibilities for business in general and project management in particular. Before we get to the advantages of project management software hosted in the cloud, let’s start with understanding what it actually means. Cloud computing means that the software is hosted on an external remote server and it is accessible through the internet and is not directly on a local server, hat is why it is called “the cloud”. You can access the software through a browser, a portable device (smart phones, tablets etc.) or directly in Outlook (e.g. InLoox Now! 7). Some examples for general cloud storage are Microsoft SkyDrive or Dropbox. 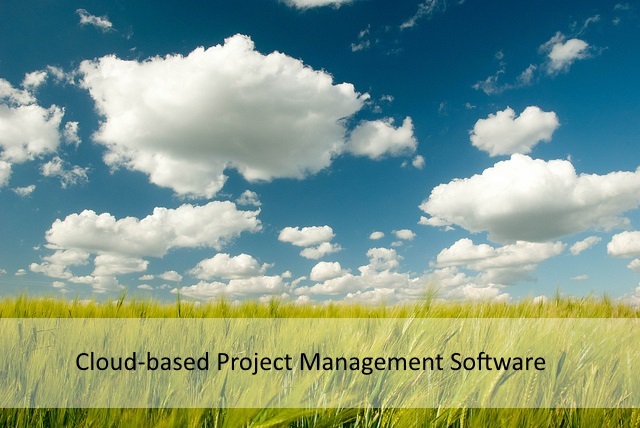 Why cloud-based project management software? Now that we have established what cloud computing is, the question is “why?”. Why is there a need for it? And why is it so advantageous for businesses? To answer the first question: Like any technological advancement, the expanding of cloud computing was stimulated by social change. We live in a globalized world where employers and employees do not necessarily work in the same country, or even continent. Or even if they do, many companies do not run on a strict 9 to 5, Monday to Friday, work schedule anymore. With the spreading of portable devices the work place has further moved away from the office and it is possible to work from any place. Thus, there is a need for a software that can be accessed from anywhere. This is just one of the many advantages of cloud computing, especially for project management it holds many additional benefits. As long as you have internet access and a device you can use the software anywhere and at any time, no matter if you are in the same time zone with your team members or not. There will be a (automatic) backup of your files which protects them in case of hard- or software failures. Many are concerned with the security of their data in the cloud, because often they include sensitive and private data, and also trade secrets. That is why security and reliability is the top priority for software developers. InLoox Inc. for example hosts the data in certified data centers and deploys simultaneous and independently run systems in and the communication is encrypted (for more information see the Security Statement). With these kind of measures software vendors ensure that in case of possible network failures operations will continue and of course it ensures that your private data is safe from outside intrusion. Who should use cloud-based project management software? There is no target group for this kind of software as it is advantageous to businesses in general, but because of the low initial investment costs and almost no costs for maintenance and the “on demand” character of this type of software might be especially interesting for startups and companies with disperse teams. It needs to be mentioned that while cloud software has many advantages you need to consider the specific needs of your company, for some cloud-based software could work worry well, but for others it might be better to use the traditional computer-based software. Neither option is better than the other, it is all about finding a solution that works for you and your team. Take Your Project Management to the Cloud - InLoox • Copyright 1999-2019 © InLoox, Inc. All rights reserved.